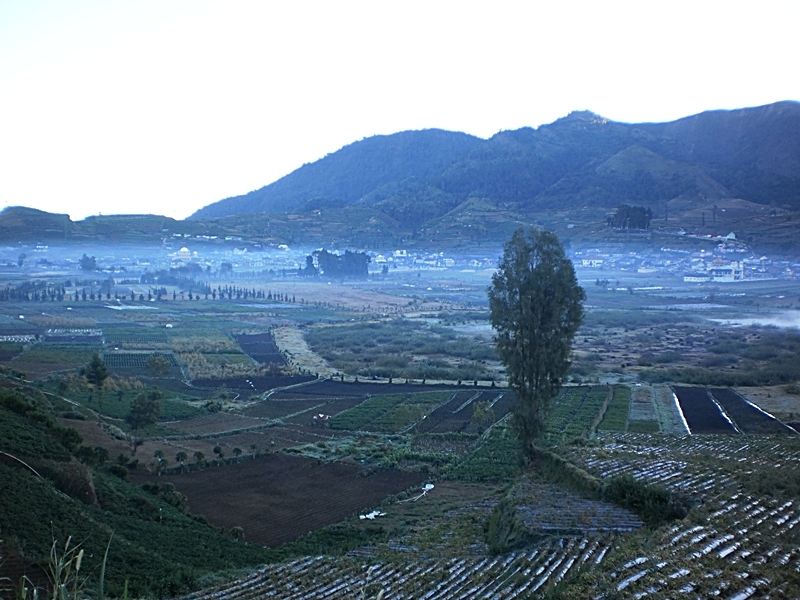 The most amazing moment I ever had was when I visited Dieng Plateau. 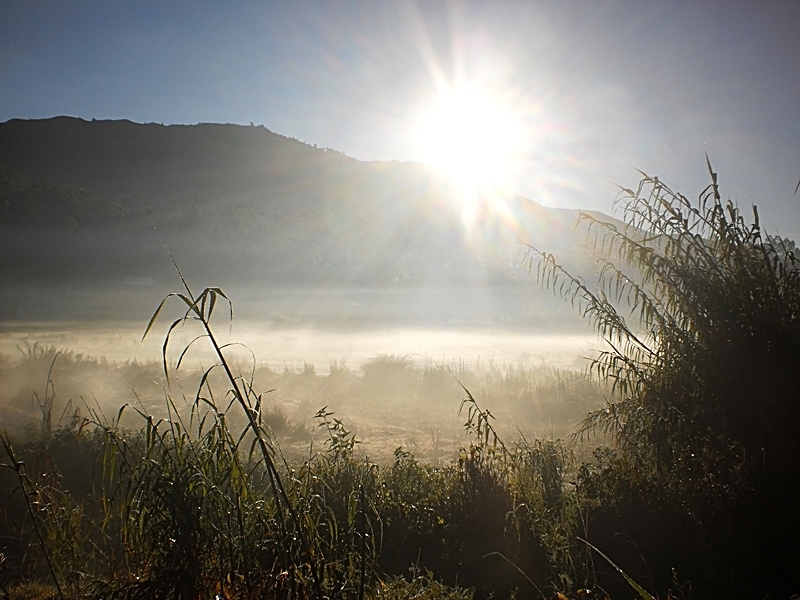 It is located between Wonosobo and Banjarnegara regencies, Central Java, Indonesia. 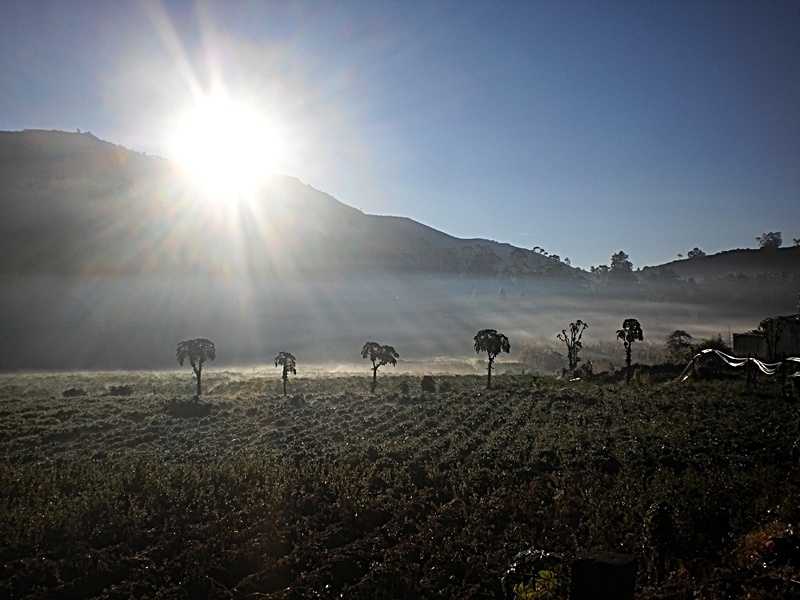 The plateau also covers other regencies such as Pekalongan, Batang, Kendal and Temanggung. However, most of tourism objects are located in Wonosobo and Banjarnegara. 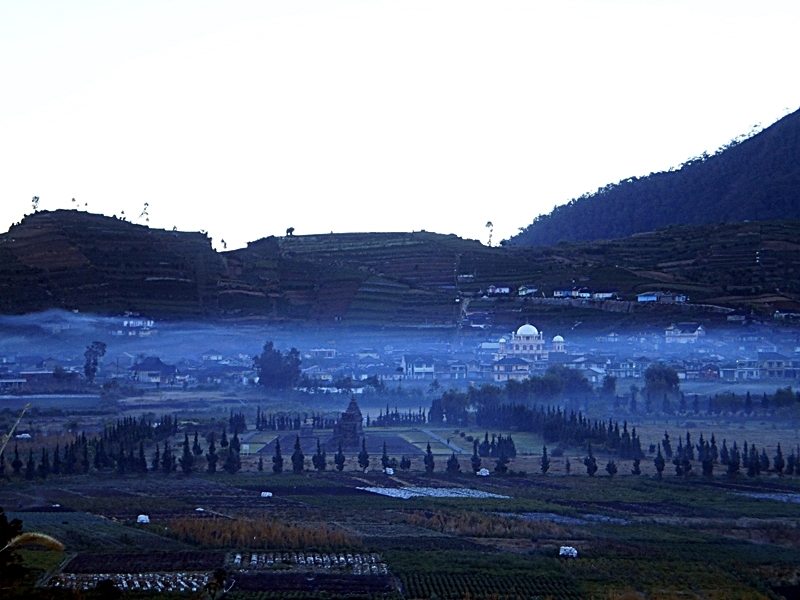 For this travel theme, I choose the misty morning in Dieng village which had been taken around 2012. I went there with my good friend who lives in Wonosobo. We went from his house after praying Subuh (dawn) at 4.30 am by riding motorcycle. It was so exciting and I felt free from everything. 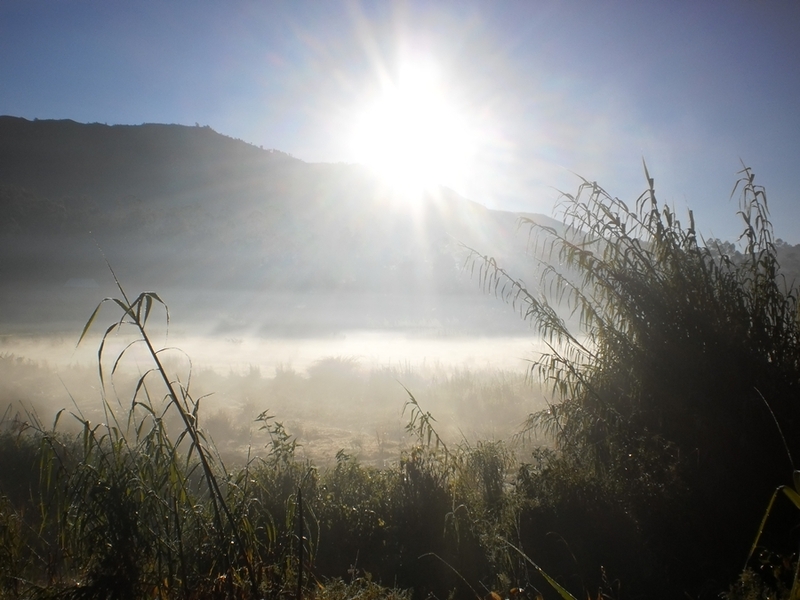 When we finally came to the Dieng village, the sun hadn’t arisen yet as it was covered by the mountain. Mist was anywhere. I and my friend ultimately took some pictures among the mist. It was so cold and he said at the moment, the temperature is five degrees. O My God! Mashaallah! That’s so freezy! Even my fingers felt frozen. 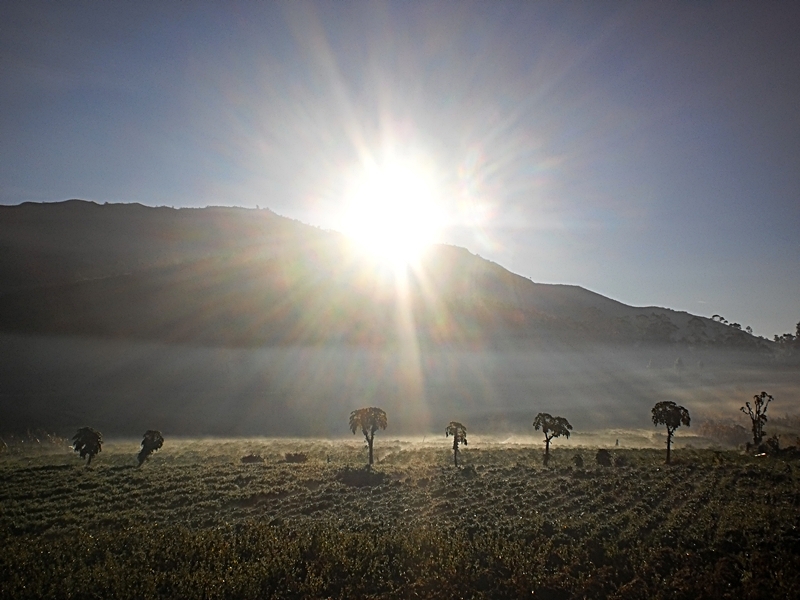 Gradually, sun arose and created an amazing unforgettable moment. I took many photos and that’s God’s creation! Aamiinn….tapi saranku, lebih bagus setelah subuh.